There are many cleaning supplies for cleaning commercial property or facilities claiming that they: “kills all germs” “disinfects”, “sanitizes”, “kills all bacteria on all surfaces”. But what does this terminology mean? Which product is best for which specific property, for example – health club, school, hospital or a commercial office? Sometimes it is very hard to find information on the package to be 100% sure that the product meets your individual needs. Many consumers are overwhelmed by choice and lack of evidence-based information. It leads to rash and uninformed decisions which in turn can hurt the business budget. That’s why Alphaclean has compiled this guide to help you and your business make a better decision. How do germs spread and where are they mostly found? Germs spread very fast. Some facts disturbingly confirm the widespread misconceptions about germ hotspots. The average carpet harbors 31,000 bacteria per square centimetre, making them 620 times more germ stricken than the average toilet. What about work stations or desks? The average office desk has 400 times more bacteria than a toilet. Touching a contaminated surface or object, before touching your mouth, eyes, nose or other opening of the body spreads infection. Every successful business understands that safety and risk management comes first because of the tragic consequences that may follow and destroy your future. However, it may never have incurred to you that allergies could be a threat to your business. For example, you might be liable for personal injury or anaphylactic shock if an allergic reaction was to occur in your workplace . An allergic reaction falls into the broader category of personal injury. There are several things to consider when understanding the impact of allergies on your business. Firstly, there are many forms of allergies and a variety of symptoms that torment allergy patients. Allergies can take many forms. One of the most common is Allergic Rhinitis. Allergic Rhinitis is a common and debilitating disease. 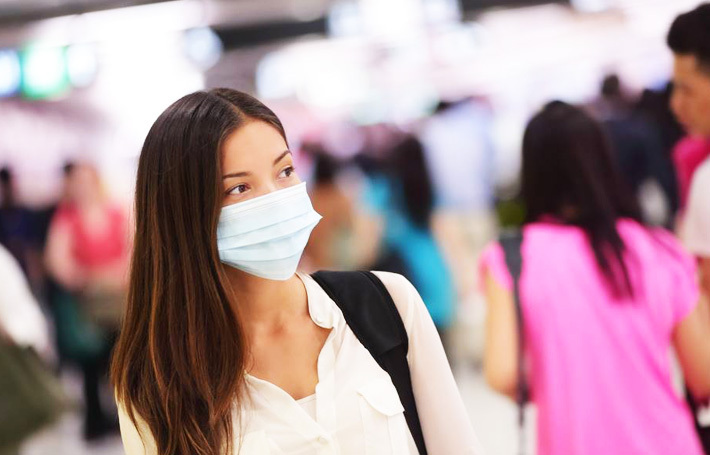 Allergic rhinitis affects around 18% of people in Australia and New Zealand. Allergic rhinitis predisposes people to more frequent sinus (middle ear) infections. Around 80% of people with asthma have allergic rhinitis, which makes asthma more difficult to control. Remember that a considerable proportion – 10% of the Australian population has asthma. People with allergic rhinitis often suffer from exhaustion, which, needless to say, has a tremendous effect on their quality of life. Moulds allergy symptoms can range from allergic rhinitis and allergic conjunctivitis (such as red, watery, itchy eyes) to headaches, rashes and low energy. Dust allergies can lead to facial pressure and pain, swollen skin under the eyes and sinus infections. Animal’s dander (dead skin cells) to sensitive people can cause a runny or stuffy nose, facial pain (from nasal congestion), coughing, chest tightness, shortness of breath, wheezing, Skin rash or hives. Timing and symptoms sometimes make it impossible to determine the source of the reaction. Symptoms can occur within 30 minutes following exposure, or may not develop until several hours later. In some cases, symptoms increase in severity for 8 to 12 hours. In 20–30 percent of patients with asthma, an allergic reaction can trigger an acute asthma attack. In any case, allergies and sensitivities result in more frequent absenteeism in adults and reduced productivity at work, and therefore can cause considerable damage to business in any industry and any type of workplace. To fight germs and infections, the spreading knowledge about proper cleaning of surfaces is required. Article marieclaire.co.uk – The 10 things making you sick in your office. “sanitize” “disinfect”, and “sterilize” – what is the difference? These verbs are sometimes used incorrectly as synonyms. However, the difference in meaning determines the success of your cleaning routine. Words, “sterilize” “sanitize”, and “disinfect” have connotation that describes the strength of solution to kill, suppress or inactivate different types of microbes. Sanitizers are the least aggressive solutions, sterilants are the best against the broadest scope of microorganisms, while disinfectants are the most common medium strength solutions. Sterilants and disinfectants are regulated in Australia. Not only manufacturing but also the claims made in the instruction, labels and marketing materials of sterilants and disinfectants are strictly regulated in Australia. These solutions need also to be confirmed for your specific industry standards, like food. Which disinfectant to choose for my business? The well-known chemical disinfectant includes alcohols, glutaraldehyde, formaldehyde, hydrogen peroxide, iodophors, peracetic acid, phenolics, ammonium compounds, and chlorine. Commercial Grade Disinfectants are mostly used to destroy the most common bacteria in bathrooms, showers, toilets, hotels, garbage containers and animal kennels. When choosing cleaning solution for benches, cutting boards, equipment, table tops, storage areas, food cupboards and refrigeration cabinets, you can choose Surface Sanitiser & Cleaner that also complies with food sanitation regulations. Article news.com.au – We let a professional germ buster sweep our office for pathogens. Checklist for perfect disinfecting solution for your business. This is a not a final checklist, as each sector and business environment is very specific. However, you can start with the first five points. Easy to handle. You want a solution that your staff is happy to use every day. Free of intolerable odour. Unfortunately, there are still many products that can be unbearable to work with. Safe for frequent use in premises. Materials can be easily damaged with certain cleaning solutions; therefore, it is advisable to be aware of the types of materials in your environment. Effective against microbes normally found in most commercial property and on equipment. Stable in storage. Storage instructions are also important to consider when choosing your supplies. Non-chemical solution to kill germs. Yes, there is a solution that if used properly and regularly can kill 99.9% of germs. Commercial Steam Cleaners kill germs also without using harsh chemicals. You will be cleaning and disinfecting at the same time. No bacteria, germ or virus can survive steam at a temperature of 110 degrees. Being easy to use, steam cleaners provides fast disinfection, broad kill range, reduces potential of cross-contamination, is non-toxic and will not damage any surfaces. Can be used on a variety of surfaces, not just floor. Thanks to the attachments that can be used with some steam cleaners, you can use this tool to disinfect equipment, conveyor belts, walls and more. 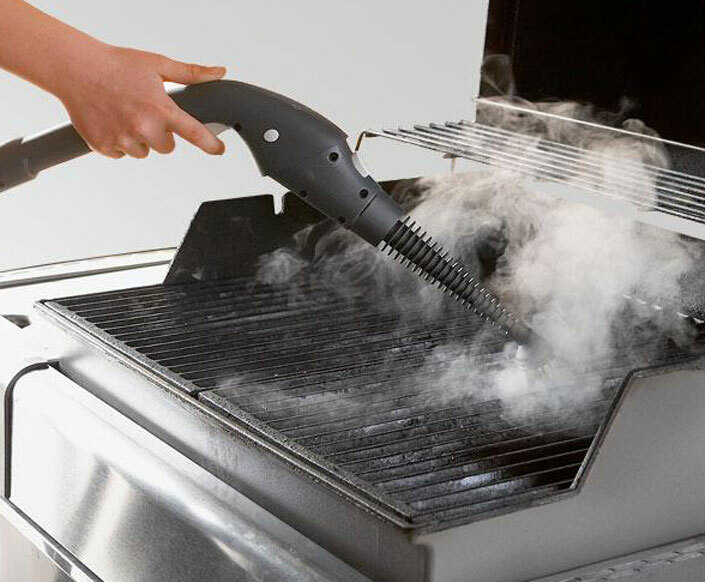 Provides two functions in one – Steam and Vacuum. Some steam cleaners have also vacuuming function, which is very convenient when after cleaning the surface with steam there is still some dirt left that you need to vacuum including any moisture remains. Cleaning staff prefers to use commercial steam cleaners for the following reasons. There are no long-term chemical exposure concerns. It helps business as it ensures the frequency of cleaning and motivates staff to keep premised clean and fight germs effectively. Steam is a cost effective method of quickly treating production surfaces. What factors determine steam cleaner’s ability to sanitize surfaces? Germ-killing power of steam cleaner depends on many factors, such as the moisture content of the steam & its temperature. Making sure you have continuous capacity of steam is also vital. Which sectors particularly benefits from commercial steam cleaning equipment for germ prevention? Steam cleaning is a universal solution to handle germs and stains in most property cleaning however there are also other options depending on many variables, such as the foot traffic, surfaces, frequency of clean. Here you can find some examples how specific industries take advantage of steam cleaning but please understand that this guide is not all about using steam. It is era of increasing antibiotic resistance. Health industry is continuously fighting to find the best and the safest way to ensure clean premises. Within just 2 seconds of surface contact commercial steam cleaner effectively kills antibiotic-resistant bacteria. A Hospital or any clinic is a busy environment at any time of the day. In the various food and beverage processing facilities it not only kills germs, but also removes all types of grease and other residues from many and various surfaces including cooking devices. Using no chemicals can also mean no strange odour as well. That is not to mention that there may be times when chemical is needed, particularly for drain cleaning. Steam cleaner allows to successfully reduce maintenance costs of gyms and studios; therefore, it has become a popular choice for many business owners. Also, for cleaning gyms, steamers having an attached vacuum is a necessity. These steam and vacuum cleaners can clean all gym equipment and extract the dirt as well. The multi-functionality of the product ensures time and budget efficiency. It is always advisable to check that your chosen steam cleaner has all required brushes in the kit for your gym design and equipment. Article – Bacteria and Viruses at Work. Regularity – Never miss any scheduled cleaning. No solution will ensure protection against germs spreading if regular scheduled is not maintained. Cleaning technique – Cleaning technique involves the choice of objects cleaned and the following of directions. Firstly, clean and disinfect surfaces and objects that are touched often. For example, in the education sector (schools, kindergartens) this means daily sanitizing surfaces and objects, such as desks, countertops, door handles, computer keyboards, learning items, and toys. Staff should always follow label directions on cleaning products. Solutions – Solutions will depend on the area of the premises- toilets, food areas, floor surface, and materials. Some chemicals provide a cost and time-saving solution for your business. Good example is high foaming chlorinated alkaline detergent. Firstly, it both cleans and sanitises. It fights germs, mould, stains, fay and smells in toilets, bathrooms, and kitchens. It can be an ideal answer in food service, swimming pools, entertainment parks and change rooms. Moreover, it is widely used outdoors to eradicate mould, leaf and moss stains. Your business needs are unique therefore only a specialist consultant continually working in this ever changing industry can advise you on the best choice of solutions and usage. Staff education – Cleaning staff should be provided with enough knowledge to avoid common pitfalls of surface disinfection like the overuse or misuse of prepared disinfectant solutions. Misapplication of chemicals has a tremendous effect on the germs spreading in the premises. For example, depletion of the active ingredient causes cross-contamination of neighbouring surfaces, while combining certain products (such as chlorine bleach and ammonia cleaners) can result in serious injury. Article news.com.au – How to clean the three dirtiest items you touch every single day. Germs and choice of solutions can be overwhelming task for any business owner or manager. It is not your job to know everything. 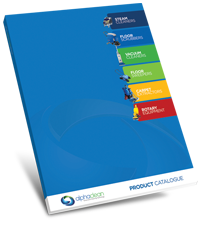 Cleaning equipment providers have answers for your industry. Ask for an individual and be specific about your needs and risks of germs in your business premises so that a specialist consultant can help you choose the best option and strategy. When choosing commercial cleaning equipment, a business should care about its ability to act fast on surface germs and decide on best cleaning technique to avoid cross-contamination. This guide demonstrates how a steam cleaner and certain disinfectants ensures 100% suppression of germs. Not to mention, that there are many other options other than steam cleaners. This article produced by Alphaclean is a guide only about fighting allergies and influenza will hopefully help you make an even more informed decision and keep your property safe and healthy for staff and customers.